One of the benefits of non-professional podcasts is that they aren't limited by time restrictions. Even Filmspotting's conversations are set up to play on their local public radio station. If you have several hours, there are some great shows that really dig into movies from a fan's perspective. One of the best examples is Film Junk, a Canadian podcast with four friends obsessively covering the latest movies. Along with each week's review, there's a long segment where each guy covers what they watched that week. These discussions are often more interesting than the main reviews because you never know where they'll go. There's also "Junk Mail" with e-mails and voice mails from listeners who aren't always so happy. Devoted fans even splice together silly "best of" clips that show their dedication. Sean hosts each podcast and is joined by weekly regulars Jay, Greg, and Frank to discuss all their latest movie-going experiences. They also veer into stories from their lives that can be more entertaining than the regular features. 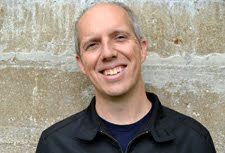 Jay is a documentary filmmaker and has a lot of material from his time supporting his work around the world. Greg works in the retail setting and deals with plenty of odd people. Frank joined in the middle of the show's run and was a great addition. These guys are clearly good friends, and that camaraderie lifts Film Junk above the typical podcast. Chaos reigns when they bring in recurring guest Reed Farrington, a divisive guy who tends to sidetrack the shows into random tangents that drive some listeners crazy. He can be irritating, but the shows with Reed are always fun. The highlights include their "Movie Organization Mainfesto", where the guys talk for several hours about the right way to arrange their collections. While I don't organize mine with this level of obsessiveness, they're very entertaining and show the dilemmas faced by any serious collector. Do you arrange the titles alphabetically or by genre? Should the DVDs and Blu-rays be split? Should Criterion have its own section? These questions and many more are covered in extreme detail during these extra podcasts. They're had three parts so far, and I wouldn't be surprised to hear more of them. Frank and Jay both have gigantic collections and passionate views about the right strategy. My set-up at home violates nearly all of their strict rules, but it also falls well short of the number of titles. Film Junk celebrated its 400th episode in January with a nearly five-hour extravaganza where each guy listed their favorite 100 movies. While this is not going to interest a casual listener, it's a wonderful treat for fans like me. The show is free, but the guys have created bonus podcasts through Bandcamp that delve into particular franchises. The dollar that I spent on the Star Wars special was a tremendous bargain. Few shows make me laugh consistently while also providing interesting material. These guys are super fans of movies yet seem like normal people with lives away from the screen. That is a tricky balance considering the huge volume of films they consume every week. If you're a movie podcast addict, you should definitely add Film Junk to your list. I'll warn you that it might start dominating your listening time. Yes, these guys deserve a spotlight! Have been listening for them for ages and they are my favorite movie related podcast. Have not listened to the five hour podcast, but looking forward to it! Nostra, I'm glad to hear that you're also a fan. That five-hour podcast was epic and so entertaining, especially with Reed on there. 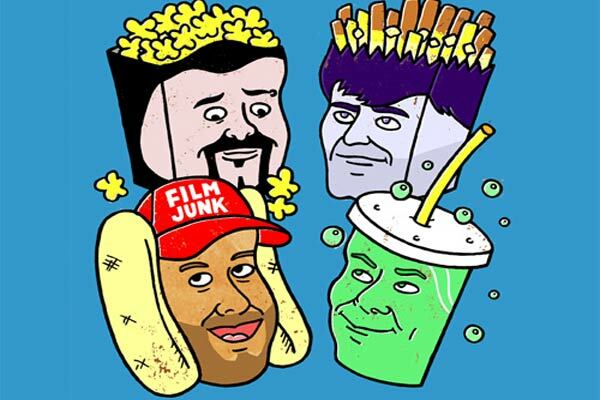 Few podcasts on any topic make me laugh more than these guys, yet they also have a lot to say about movies. I still need to check out more of the bonus episodes too. Sean is the secret weapon, and the reason Film Junk is king among non-professional movie podcasts. I try to listen to other amateur movie pods, and too many of them get bogged down in crosstalk and one-upmanship. Sean has his hand on the rudder, but he always, ALWAYS allows himself to be interrupted whenever one of the others has something funny or insightful to say. This lets the conversation breathe in a way that many others don't. You're definitely right about Sean. For shows that go on this long and cover some much material, it's amazing that it doesn't go off the rails. He does a great job, and it helps that they're good friends away from the show. That isn't always the case with non-professional podcasts and makes a big difference here. This podcast rules. Frank's got the energy, Jay brings biting wit, Greg has the everyman perspective and Sean is the like ultimate cruise ship captain. I hope that all this praise doesn't affect them, though. Don't want to mess with their down to earth attitudes. I couldn't say it better myself. These guys get a lot of praise from people with more pull than me, so I think they'll be good. Definitely worth the spotlight. Easily one of the best podcasts film-related or otherwise. Somehow they make the show fly by - which is no small feat when it averages over two hours in length. I totally agree. Some 45-minute podcasts seem longer, while Film Junk typically flies by. Sometimes they'll spend 20 minutes just on what Jay watched that week, yet it's still great.